The best premium burger around. 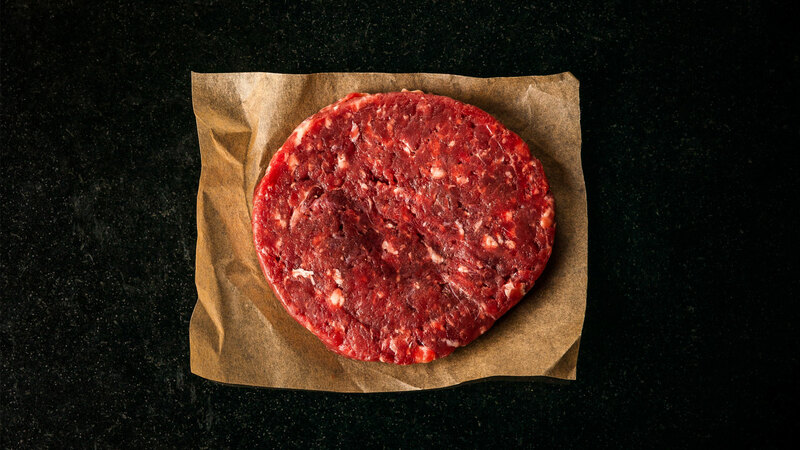 Our Naked burger consists of our freshest premium cuts of meat, and nothing else. Here, we don’t use any cut offs, additives, preservatives or strange ingredients. Just pure beef. The most important factors of a superb burger are the flavor, size, juiciness, fat content, and color. That’s why our expert team worked on perfecting every aspect of making the burger even better. It’s that good, you won’t even need any sauce. Intense meat flavor with just the right amount of seasoning. Plump and satisfying, no flat mass-produced patties here. We like a bigger burger made with quality meat so that when you sink your teeth into it, the juices will flow. Expert burger makers know that a great hamburger doesn’t need a lot of fat, the high quality beef is juicy enough. Deep red without any additives, and consisting of only the freshest beef.